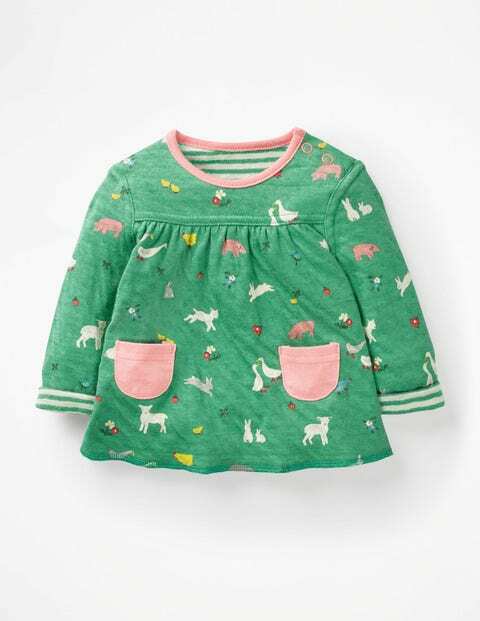 Two prints, one top: this T-shirt is fully reversible so it's easy to mix and match with little outfits. It has shoulder poppers for quick changes and is made from soft and durable bonded cotton. Because it's light as a feather and can be worn with the matching supersoft trousers, active adventures are way more comfortable.